Best in Shropshire – it’s official! Hadley Park House Hotel has been named as winner of the Shropshire Business Award for Tourism, Leisure & Hospitality. Hadley Park House Hotel was named as the award-winning hotel in Shropshire at an awards ceremony held at the Telford International Centre. “This is a fantastic achievement for the hotel. This award was open to a wide cross-section of tourism businesses in Shropshire. For us to be shortlisted and then go onto win is a phenomenal accomplishment for the entire team” commented hotel directors Mark Lewis and Geraldine Lewis. Over the past twelve months Hadley Park House Hotel in Telford has had an award-winning year. Following a six-figure investment in the hotel’s fixtures and fittings which included an extensive refurbishment to bedrooms and public areas, the hotel was granted four-star status by the AA. This makes Hadley Park House Hotel one of a handful of four star hotels in Shropshire. The hotel refurbishment of bedrooms within the original Georgian house saw the 12 rooms completely redecorated and the installation of new carpets, lighting, hard and soft furnishings installed. Improvements were made to the conservatory restaurant, adjacent bar, Morning Room and Lounge with new lighting and the extensive wood flooring taken back to reveal the original floorboards. As well as the hotel upgrade to four-star, Hadley Park’s Dorrells conservatory restaurant retained an AA Rosette for food quality. Our award-winning restaurant uses Shropshire-produced food and drink from a variety of local food producers. For the third consecutive year, Hadley Park House Hotel became and award-winning wedding venue in the West Midlands. 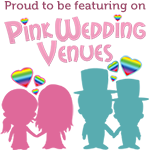 The Wedding Industry Awards named Hadley Park House Hotel as Best Town Wedding Venue in the West Midlands. The award is based upon customer feedback. Why not look at some lovely comments here? Investment and upgrades haven’t stopped at fixtures and fittings. Hadley Park House Hotel have invested in the team and employees have swelled to 40. Additional front of house and operational team members ensure all guests receive four-star customer service. Staff are the lynchpin to our business success so an emphasis is placed on staff training and personal development. in the kitchen, we have embraced the apprenticeship programme and has enabled our Chef & Team to nurture young, local talent. The Shropshire Business Award further cements Hadley Park House Hotel as a high-quality four-star hotel in Telford, Shropshire.